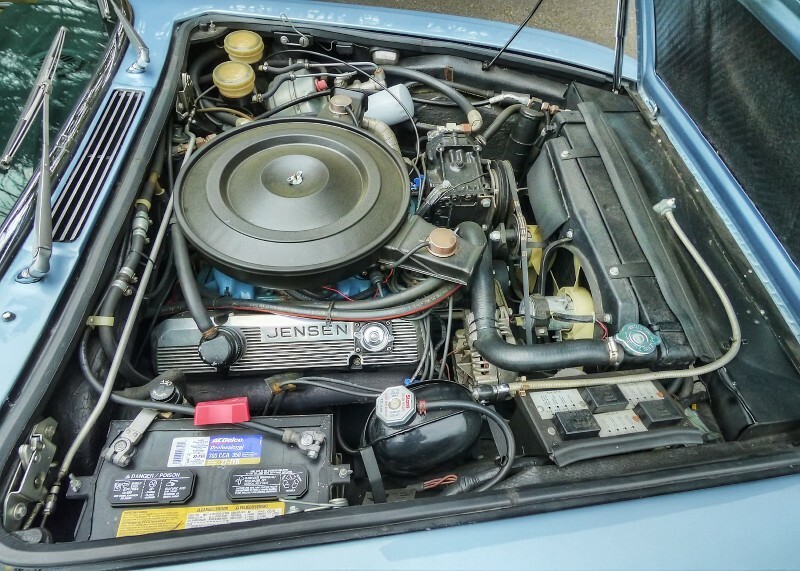 The Jensen Interceptor followed the classic formula of big American V8 shoved into a European body. You can expect to see one destroyed in the soon to be released 6th installment of the Fast and Furious movie franchise, or you can buy one for less than the cost of a new Civic. 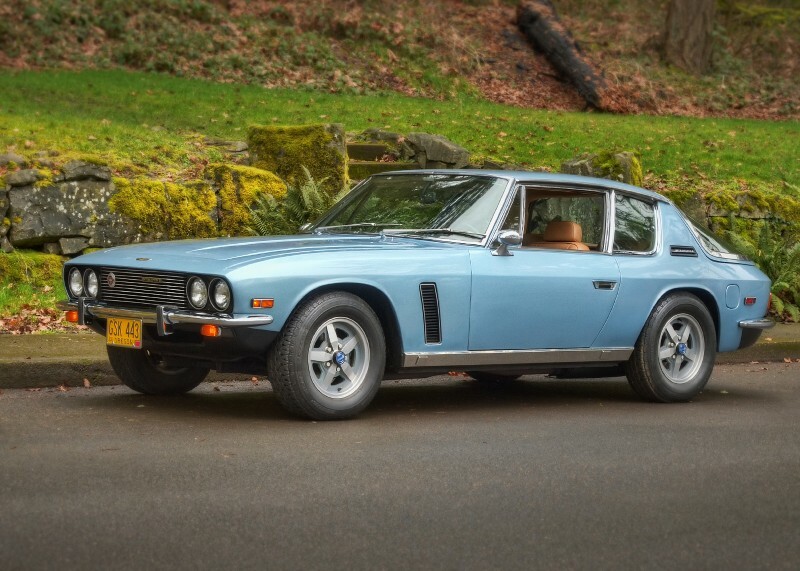 This 1971 Jensen Interceptor is for sale in Eugene, OR currently bidding on ebay for $15,600 reserve-not-met with a few hours to go. 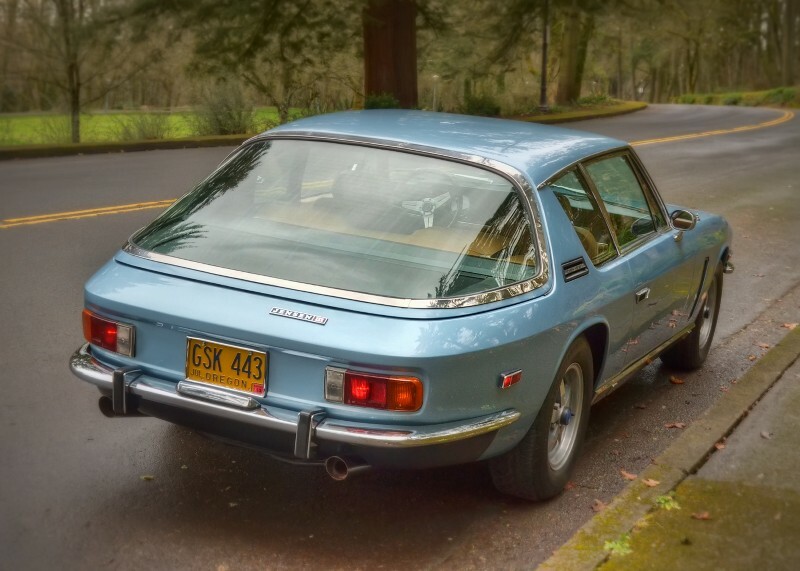 The Interceptor sheet metal was designed and fabricated by Carrozzeria Touring, a famous Italian coach builder known for building beautiful pre-war Alfas and BMWs. The Interceptor doesn't stir the loins like an Alfa Romeo 8C, but it is a handsome alternative to late 1960s American muscle cars. The Interceptor tends to be categorized as a Grand Tourer, but is more Muscle Car when you pop the forward hinged hood. This one is powered by a 6.3 liter Chrysler B-block that puts out 270 horsepower and gobs of tire roasting torque. 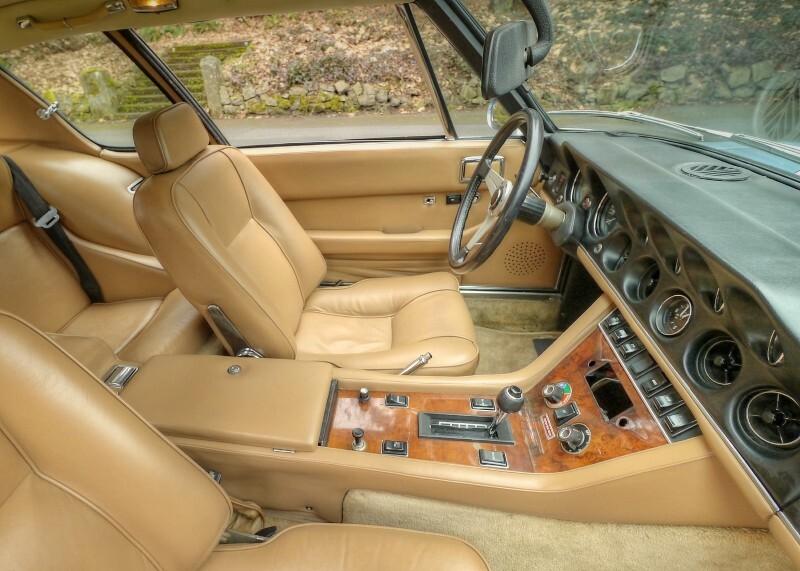 Either the seller is a genius with a camera or this particular car is in very nice condition - the leather, dash and switchgear all look in remarkable shape for a car built in the UK in the early 1970s. This one is equipped with an automatic transmission, which may seem disappointing at first, but the interceptor wasn't a sports car and the auto probably fits its point-and-shoot personality well. A few more really nice photographs earned this seller DT's coveted Ansel Adams award badge for excellence in photography...which should not be confused with a good car or a good deal. We also want to point out that the under body shots clearly show a recently painted oil pan and transmission pan cover - and we are always suspicious of recently painted parts. That is a lot of car for the money and I like the idea of a domestic engine in a British wrapper...this is like a hardtop Shelby Cobra!